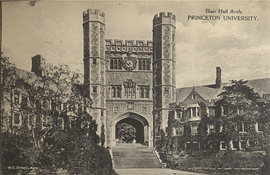 Blair Hall Arch, Princeton University, postcard. 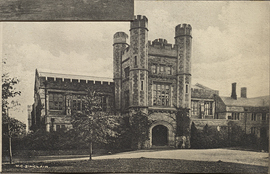 Blair Hall, Princeton University, postcard. 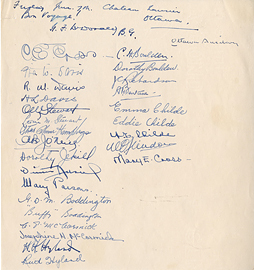 Blank envelope with a Presbyterian Hospital, NY return address. 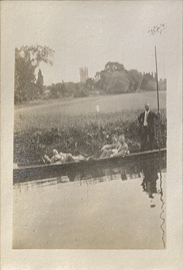 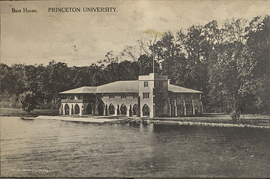 Boat House, Princeton University, postcard. 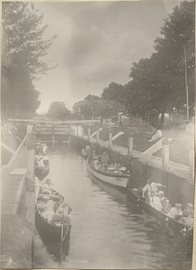 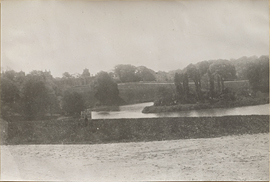 Boats in a Canal, photograph. 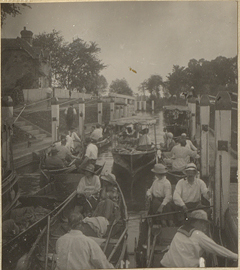 Boats in a Lock, photograph. 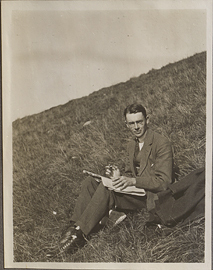 Bob Hayward sitting on a hill, photograph. 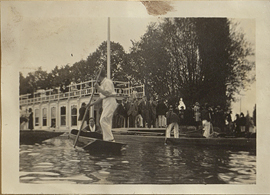 Bon Voyage Dinner to the Officers of No. 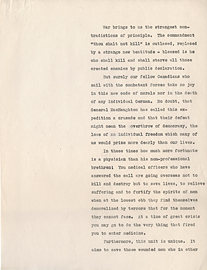 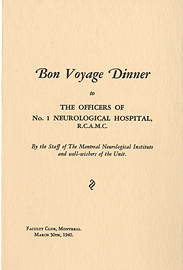 1 Neurological Hospital, R.C.A.M.C., March 30, 1940. 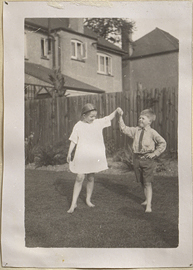 Boy and Girl Dancing, photograph.